A little lesson on Bourbon! Ok, I get it, you like Bourbon, I like Bourbon, we all like Bourbon. Oh I know, some of you LOVE Bourbon. But how much do you really know about Bourbon. I mean, could you win the Thursday night Bourbon Trivia game at our house. If so, come on over. I keep getting beat. For the rest of us, let&apos;s take a little science/history/geography lesson about this awesome spirit. First things, first...all Bourbon is whiskey but not all whiskey is Bourbon. Yep you are going to hear this a lot in Kentucky. Bourbon is technically whiskey -- a distilled spirit made from grain and aged in a wooden barrel. Bourbon is whiskey. But to be called Bourbon, a distiller has to follow a very, very, very regimented set of regulations. First Bourbon must be at least 51% corn, distilled to 160 proof (that&apos;s 80% alcohol), aged in brand new charred oak barrels at 125 proof and bottled at least at 80 proof. Yeah, I know, lots of rules and a ton more government regulations that I didn&apos;t even note here. If you are ever on a Bourbon distillery tour and happen to meet a distiller, ask them how they feel about government regulations. Should make for interesting discussion! You may be thinking to yourself right now, hey if that&apos;s all there is to Bourbon, then you can make it anywhere and that is true. You can MAKE Bourbon anywhere in the United States....but there is one big reason why all the best Bourbon is made in Kentucky (ok one big one and another pretty important one) and enjoyed everywhere else. 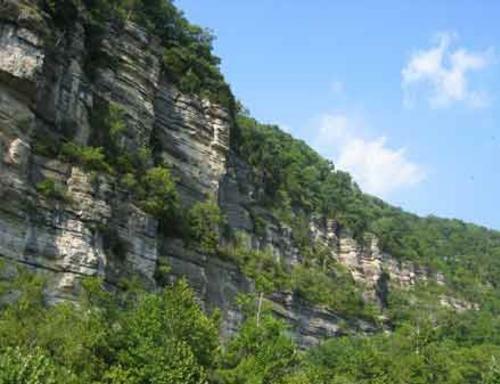 The great Commonwealth of Kentucky has this awesome limestone shelf that runs through the entire state. This limestone filters all of our groundwater and removes all of the impurities like iron which is just nasty if you try to make Bourbon. For real, unfiltered water with a high iron content will turn the Bourbon green. That may be fun for St. Patrick&apos;s Day but we tend to love that lovely amber color of our spirit. On an interesting side note, it is also this limestone shelf under the topsoil that creates such lush and beautiful grass for our horses to eat which helps them grow big and strong aka WIN HORSE RACES. So first it is the water that makes our Bourbon so good but that second important reason is the weather in this great state. Once the Bourbon is lovingly distilled to that perfect 160 proof and the water is added to move it to a 125 proof and poured into a new charred white oak barrel, these barrels are stored and aged in a rickhouse. The rickhouse is where the magic begins. You see, Kentucky is blessed with some pretty whacko weather. It can get wicked cold in the winter and sweltering hot in the summer. The Bourbon is resting in the rickhouse in the barrels and subject to some pretty extreme temperature swings (no air conditioning or heat in the rickhouse). This causes the Bourbon to get deep into those charred barrel staves in the summer and contract out in the winter. It is this cycle of contraction and embedding that gives Bourbon its rich colors and complex flavors of caramel, vanilla and so many more. Yum, I am thirsty! So that is a simple (very simple) lesson about Bourbon but I can tell you there is so much more to learn about this amber gem! We are pretty lucky in Northern Kentucky to have three wonderful distilleries and so many place to enjoy and love Bourbon. Come down and see us sometime and let&apos;s talk more about the history of Bourbon (like why the heck is it called Bourbon) next time maybe while sitting on the porch at the Prohibition Bourbon Bar. Savor the Spirit Safely and Responsibly. 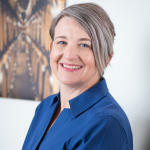 Julie is the Vice President - Sales & Marketing for meetNKY. She enjoys exploring Bourbon Country (or the great Commonwealth of Kentucky as it is known), the local distilleries and finding new ways to work Bourbon into every conversation.